Engine Four stroke, transverse four cylinder, SOHC, 2 valve per cylinder. 736 cc / 44.9 cub in. 141.5 mm / 5.6 in. Swingarm, dual shocks, preload adjustable. 101.6 mm / 4.0 in. Dimensions Length: 2280 mm / 89.8 in. Width: 880 mm / 34.6 in. Height: 1185 mm / 46.7 in. The CB750K'77 Four K was sold in 1977 and was available in one of two colors: Candy Alpha Red or Excel Black. The gas tank stripe was gold with a white and red pinstripe. The "750 FOUR K" side cover emblem was gold. There was a two-throttle cable system (pull open and pull closed). The exhaust system was a 4-into-4. The engine was a 736cc SOHC 2-valve dry sump inline 4 cylinder linked to a 5-speed transmission and chain drive. 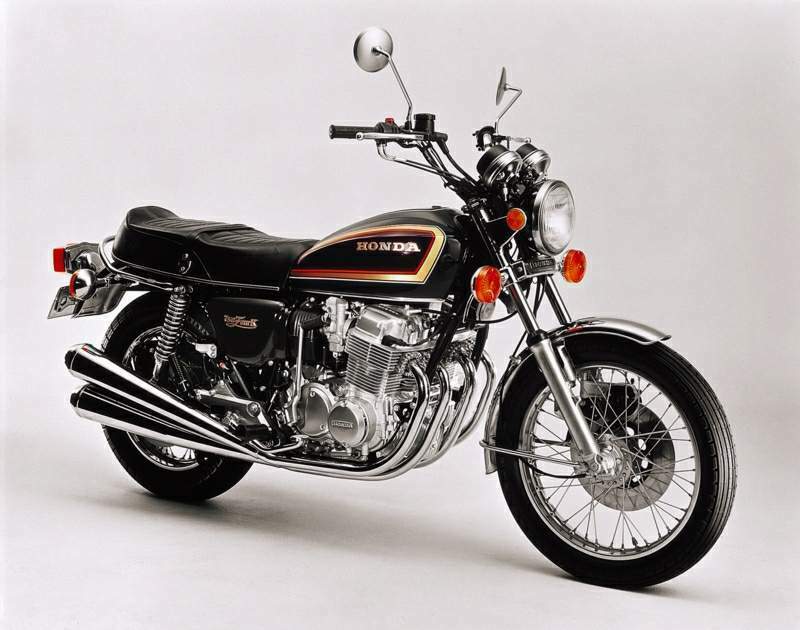 The serial number began CB750-2700009. Rhonda is my black Honda CB750-K7 of 1978 vintage, although she was first registered in 1979, somewhere (from what I can work out), in the Midlands. I bought her to replace my old Z650 after I sold the Kwak. Rhonda is a feral bike. She lives out on the street come summer or winter, rain or shine, her wheels in the gutter and a glint of rust showing her age and environment. I am not to blame for this though, as she was already a bike of the streets left out to the weather in the back streets of Battersea when I bought her on that day mid-September 2006. I had just sold my Kawasaki Z650, and was looking for some new old wheels. So when I saw the CB750 sohc on eBay, I had to have a punt. It looked pretty good in the pictures, had a decent start price and was located in London. The description that read along the lines of; taxed, tested and good condition, front brake needs adjustment/bleeding, and forks need new oil, but it was ride-able. So I had a punt -- and I won! I made arrangements to collect the old girl, grabbed my lid and jacket, and caught a Sunday morning train to London, full of enthusiasm and football supporters; Chelsea was playing at home! Then I took the tube to as close as I could get to Battersea, finally walking the rest of the way on a fine September morning, to finish by sitting outside a pub with a cold beer, while waiting for the owner to arrive. My first view of Rhonda was a shock. She was far from the condition I had been led to expect, and looked worse for the caked-on dirt and accumulated sap from the lime trees that she was parked under. The front brake calliper was completely seized up and it made no attempt to grab the disc rotor. The forks had no fluid in them and a drain screw had been broken off in-situ. Her redeeming feature was the fact that she started easily on the kick-start, although the battery never had enough charge for an electric start. To be fair, I could probably have walked away from the deal with no comeback from the seller, but I didn't. I took my life in my hands and rode her home, through London, the A4, and then down the M4, with no front brake and non-existent forks! 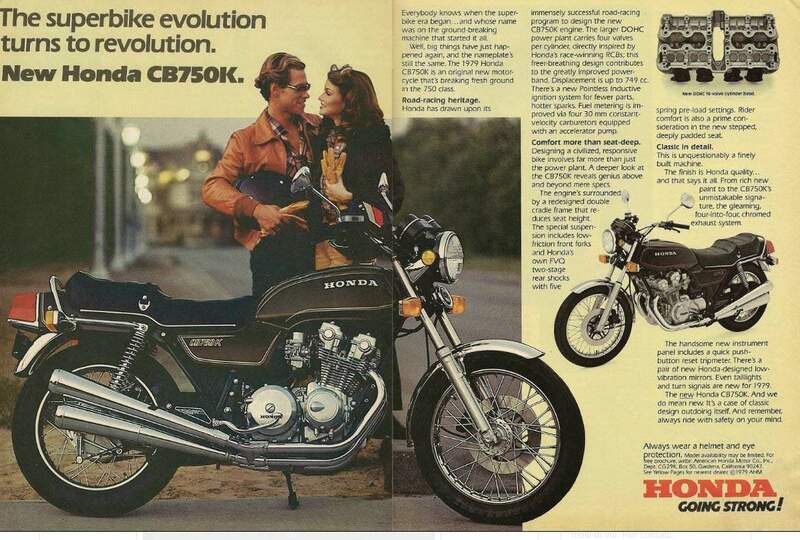 The last time I rode a Honda was way back in the late Seventies, a CB250K. I remember it was either the blue or gold, we had one of each in the family so I don't remember which was last, but I had forgotten how easy they were to ride, they never seem hurried in the same way the Kawasaki Z650 does. 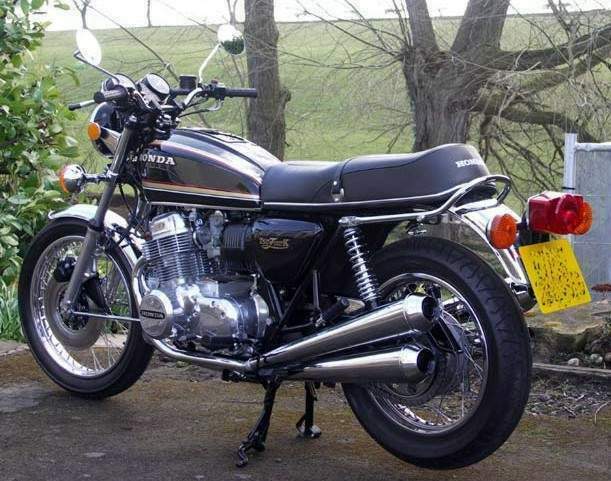 In fact the CB almost plods by comparison, although not in a bad way. It would seem this bike has had very little if any maintenance in 28 years. Many of the parts fitted are original in look and function, and came complete with 28 years of grime, from both summer and winter. The funny thing is that all the bits you would expect to show signs of neglect, like the chrome guards and four-into-four exhaust are fine and virtually rust free, but the lower frame and fittings have a coating of surface rust that shows the lack of winter cleaning and how bad salted roads can be to a bike. Having said that, the rust comes off easily and the frame cleans up well ready for primer and topcoat. However, that was back then. I have owned the CB750 for a few months now and things have moved on. First, it was a complete clean and polish, followed by another complete clean and another polish, and finally she started to look like a classic Honda again. I have degreased, greased, oiled, and wiped, I have undone, tightened, wiped over, wiped down, cleaned up, and lubricated. The broken fork drain screw was removed, and the forks were stripped, cleaned, and rebuilt, and now they work perfectly with no leaks. New coils were fitted, due to a misfire and lack of power, and on feeling the exhausts, number two and three cylinders were noticeably cooler than one and four, and as both are fed from the same coil, I pulled them and fitted a new unit. Wow! What a difference that made, giving a much smoother power output on acceleration. I also fitted a new choke cable while I had the tank off, the old one was worn and would need holding out, rather than staying out on its own. In addition, I fitted a new seat cover, and both tyres were replaced, as were the rear shocks. The first cold spell of winter killed the old battery so a new one was bought and this really improved the already impressive starting. So then the CB was then taken for an MOT - a test that she flew through with only one advisory notice. Now I have owned her a while and put some miles under us both she has become like an old friend. She sounds great with the four pipes burbling as you cruise on a Sunday morning, and she gets lots of comments from the guys who 'had one back in the old days', and she does look good with her black paint and lots of chrome. I still have some things to do to her, but I do not intend to make a show bike out of what was, is, and will stay a feral bike.